Friendly, professional eyecare since 1986. 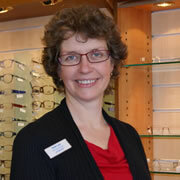 Husband and wife Optometrists, Gary Orriss and Ruth Low first opened their practice in Winscombe in 1986. Their aim was to serve the optical needs of local people, as well as provide a range of specialist services that would attract others from further afield. 32 years on, they have both taken additional training and continue to offer independent and impartial advice . The team at Orriss & Low Optometrists are able to help you with all your optical needs. Gary Orriss BScHons MCOptom DipTp (AS) Dip Tp (SP) Dip Tp(IP) Prof Cert Glauc. Gary graduated in 1981 and after a training year in Hertfordshire, worked in Luton and Abingdon and before moving to the West Country in 1983. From 1989 until 2016, he was the Optometrist at Weston General Hospital, where he gained much experience with young children, Low Vison Aids and complex cases. In 2008 he started work in two Glaucoma Shared Care clinics at Weston and Bristol Eye Hospital. 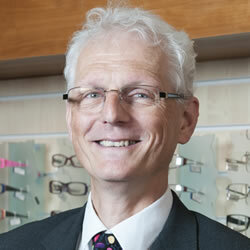 In 2009 he became one of the first Optometric Independent Prescribers in the UK. This allows him to prescribe medications for eye complaints such as conjunctivitis, dry eye, iritis and glaucoma. He went on to achieve a Professional Certificate in Glaucoma. Over the years he has developed his skill in contact lens fitting and fits many complicated and out of the ordinary cases. Ruth graduated in 1981. She completed her training in Stevenage and Croydon, including time at the Mayday Hospital. She then worked in Thame, Oxfordshire for several years. On moving back to her native West Country she shared her time between several optometric practices in the area and Bristol Eye Hospital Children’s Clinics. In 2003, Ruth became accredited by the British Association of Behavioural Optometrists, and has worked with many children and adults who struggle with poor visual skills. Ruth also looks after the general management of the Practice. Louise York has been part of our team since 2003. In 2010 she qualified as a Dispensing Optician. She has lived in Winscombe all her life and is well known to many of our clients. 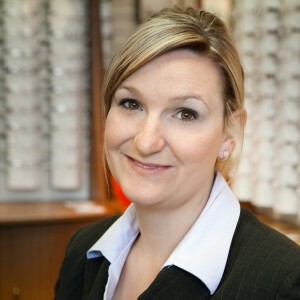 Louise is expert in choosing the very best combination of frame and lenses to suit you, and your spectacle prescription. In February 2016 Gemma qualified as a Dispensing Optician. 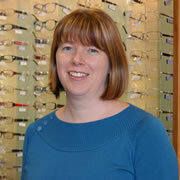 Gemma started as an Optometric Assistant with us in 2006. She has trained on the job and has become a key member of the team. Gemma is very skilled in helping you choose your next look and living locally knows many of you already. Joe started his training with us to become a qualified Dispensing Optician in September 2017. He began with us a school leaver in 2013. Our team of excellent Optometric Assistants include Lucy Clayden, Claire Killey, Dawn Tyley, Helen Gwilliam, and Joanne Ross. In 2017 Claire Killey starting her training to become a Vision Therapist.